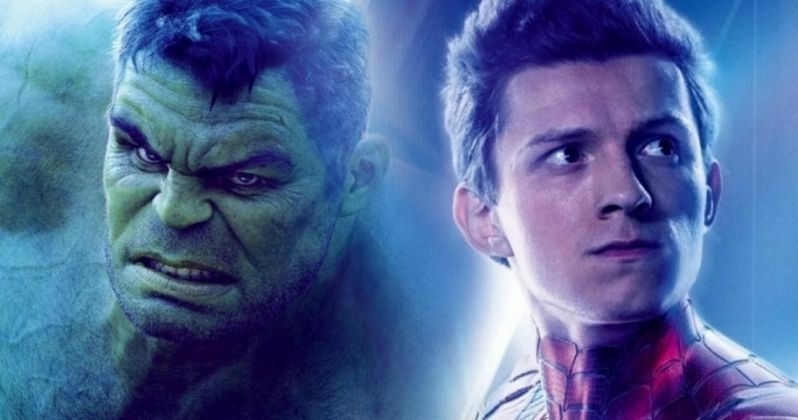 Marvel Cinematic Universe fans are just waiting for Mark Ruffalo and Tom Holland to spoil Avengers: Endgame. Ruffalo and Holland have quite the reputation when it comes to letting out Marvel Studios secrets and Ant-Man and the Wasp actress Evangeline Lilly explains why the duo are always caught spoiling things. With Endgame only a few months from hitting theaters, it's only a matter of time before one, or both of them, let the cat out of the bag about the most anticipated movie of 2019. Evangeline Lilly was recently interviewed and she touched on her job with Marvel Studios and how hard it can be to keep all of the secrets hidden for so long. When she was asked about Mark Ruffalo and Tom Holland specifically, she explained why the actors are always the first to leak details. For some, her answer might be pretty surprising. She had this to say. "It's no coincidence that it's always Tom Holland and Mark Ruffalo because those two are such genuine, sweet, open, vulnerable human beings. Their nature is not cagey or to hide, lie, and defend. They're just lovers whose arms are wide open to the world." There's no word on how much Mark Ruffalo and Tom Holland paid Evangeline Lilly to say such nice things about them, but it must have been a lot. All kidding aside, Lilly's words make sense, especially after seeing video of Holland getting tempted by a fan to spoil Avengers: Endgame and Spider-Man: Far From Home. The young actor revealed that Marvel Studios would kill him if he leaked out anything, which is obviously an exaggeration, but he seemed pretty shook at the time, which is good for the studio. Mark Ruffalo took a break from social media around the release of Infinity War, but he has since gotten back into the game. Avengers: Endgame star Don Cheadle recently revealed that he refuses to do press with Ruffalo after he spoiled Infinity War nearly a year before it hit theaters. Cheadle sat there with a priceless look on his face for a moment before quickly changing the subject. Now that Endgame is on the way, it's really only a matter of time before one of them leaks something. Evangeline Lilly also noted that she accidentally let something slip too, but she was very thankful that it never surfaced. She said, "I got so lucky because it somehow magically got buried and no one ever heard about it." That is pretty lucky, but Mark Ruffalo and Tom Holland have not been so lucky with their antics over the years. Who knows, maybe the spoiling duo will sit the promotional campaign for Avengers: Endgame out, Holland after all, is technically still dead after the Decimation. You can read the rest of the lengthy interview with Evangeline Lilly over at SyFy.